Crisis planning: what chance a ‘soft’ Putin? In the second of his analytical articles, Dmitri Travin gives further consideration to Russia’s way forward under its new (or not so new) president, Vladimir Putin. Will he insist on keeping to his hard line or might he take the ‘soft’ option? That too is fraught with potential risk. In my preceding analysis of possible scenarios for Russia, we considered the consequences were newly-reelected President Putin to maintain a hard line. Analysing the possible economic threats we concluded that, were the oil price to fall, the Putin ‘prosperity’ could suddenly turn into a serious crisis, out of which there would be no pain-free exit. The economic crisis in its turn could bring the government down, paving the way for a new populist politician. This would be as undesirable for the current elites, as it would for those who long for real democracy. Liberal politicians and experts have no wish to see this happen and are doing everything they can to recommend softening the hard line. Putin has as yet not reacted to these recommendations, but it just could be that he might agree to meet the liberals halfway. This seems to me to be more likely to happen if Russia does not encounter a crisis, than if it does. No crisis does not imply no problems. Even if the economic situation is fairly favourable, Putin could come up against two serious challenges relating to the future. These are already making themselves felt now that support for the ruling tandem has fallen away and turned into a wave of protest, even though GDP and real incomes are continuing to increase slowly. The first challenge is the objective impossibility of maintaining the previous rate of growth for earnings. Oil may continue to be expensive, indeed the price could even increase slightly; the Russian economy might show acceptable rates of growth. But Putin will not be able to improve people’s prosperity as he did in the 00s, before the crisis. The average Russian then was making comparisons with the 90s, when life was very hard, and finding it much improved. Now, even if things go very well for the President, people will compare today with the Putin period before the crisis and not notice any significant improvement. The standard of life is still very low and people want to see improvements, so they are increasingly disillusioned with Putin. The Kremlin propaganda machine tries to explain it away by saying that miracles never happen and that prosperity cannot continue to grow as it did previously. If the man in the street were given to rational thought, then in the 00s he would not have given Putin the credit for improvements by comparison with the 90s: it had, after all, nothing to do with Putin and everything to do with high oil prices. Irrational thinking by a significant part of society created the Putin phenomenon. And this same irrationality could destroy it. The second challenge is the new generation: more and more voters know nothing of the difficulties of the 90s. Today’s problems – young people finding it difficult to build themselves a career or find highly-paid work – are well known. So neither rational nor irrational thinking will be able to prevent Putin becoming an annoyance. A‘Soft Putin’ could well have its attractions for those in power. If from time to time new politicians like billionaire Mikhail Prokhorov (who did well in the presidential election) are presented to the man in the street, or there are occasionally satisfactory anti-corruption ‘revelations’ relating to people close to the Kremlin (such as happened with the Moscow mayor, Yury Luzhkov), Putin’s declining authoritarian system could keep faith with some of the voters. There is, of course, no chance that Putin will show any real desire to democratise society. His views were formed a long time ago and are not for turning. Moreover, today’s rulers remember only too well what happened to the last Soviet leader, Mikhail Gorbachev, when he tried to moderate the regime at the end of the 80s, and completely lost control of it. But the introduction of a pseudo-democracy as a way of manipulating society in the new era is a very real possibility. 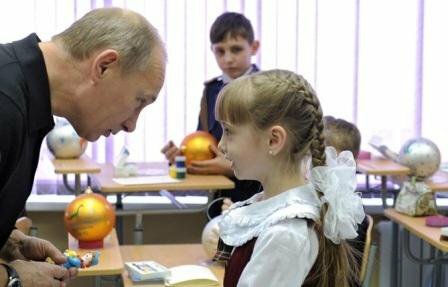 Putin probably considers his manipulations of society over the last 12 years prove he is cleverer than Gorbachev. But there could well be a point where he becomes so convinced of his own super-powers that he decides to take a risk and at some point to relax the regime. It will then become apparent that his path can only be the same as Gorbachev’s (and that of many other authoritarian leaders in other countries), but by the time he realises this, it will be too late to tighten the screws. If a weak, elderly leader lets go the reins of personal government and empowers the elites, it will then be very difficult to go back to the hard line. 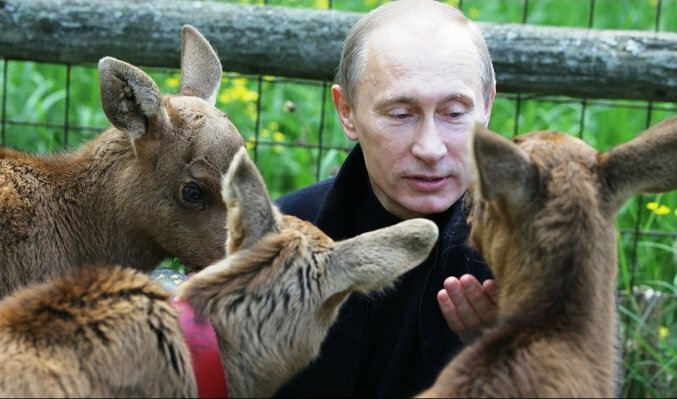 ‘Soft Putin’ could be Russia’s best option. The elites gradually become involved in government with the approval (or, at the very least, on the sufferance) of the leader, thus ensuring a smooth transition to democracy. There is, however, one serious problem: how responsible are the elites? They could exploit the new conditions to fight each other for power and resources, as happened more than once in Russian history, rather than building democracy. If the Russian elites once more behave irresponsibly, demonstrating their inability to comprise, the ‘Soft Putin’ option could result in chaos, with the people appealing to a new authoritarian leader to take over. From personal power to a ruling party? If Putin is prepared to relax his regime, but not to meet the elites halfway because he considers them irresponsible, then another possible way forward would be to move from personalised rule to a ruling party system. There are two conditions which will distinguish this situation both from where we are today and from the ‘Soft Putin’ option. On the one hand the regime ceases to be personalised and real power passes to the party. That party (or its elite) determines who is to succeed Putin. A change in the constitution and transition to a parliamentary republic is not impossible: Russia would be ruled by the head of the party as prime minister and cabinet members would be selected from leading party members, rather than from people who have demonstrated personal loyalty to the leader, as happens now. On the other hand, the ruling party in this option would certainly not make any attempt to democratise society, but would use all methods possible to guard and preserve its dominant position. All opposition would be marginalised. To put it more simply, the idea of this option would be to create a kind of notional censitary democracy, but without any property, education or gender threshold. In this hypothetical option, the struggle of the elites would be more or less under control, but they would still determine the rules of the game. This is unlike the current situation, where the dominant parliamentary party, which supports Putin, is not the real power, just the primus inter pares among the many lobbies (parliamentary parties, oligarchic cliques or simply people connected by long-time friendship with Medvedev and Putin). It is difficult to see why Putin did not choose this option when he could have done, because it would be the best for him. Is he too fond of personal power or is it that he considers our elites excessively irresponsible and avaricious? Occasionally you get a sense that Putin might decide to radically reform the political system. The authorities’ recent active promotion of the People’s Front with Putin at the head of it is a good example of this. The Kremlin was possibly trying to create a political force to unite those elites Putin felt he could trust to share in ruling. At the moment of writing, however, there are no real signs that the People’s Front might really develop or be used to transform the Russian political system. If we wish to look at a system similar to the one described above, then a good example would be Mexico, where one party dominated the country for 60 years (1930s-90s). Does Putin want to do the same with his regime? Only time will tell.